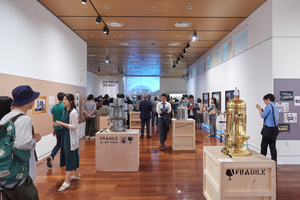 The KF Global Center provides Koreans and foreign residents in Korea with an opportunity to learn and experience world and Korean cultures. 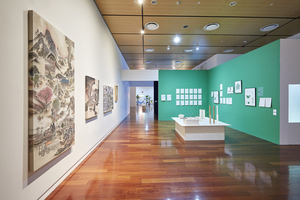 Its galleries and seminar rooms host performances, exhibitions and films to introduce world arts and cultures to Korea, and also various lectures and seminars to enhance understanding about the culture and history of Korea and the world. 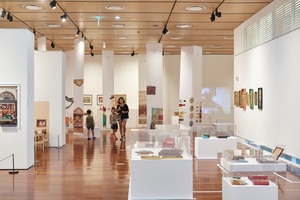 The KF Gallery serves as cultural space of the Korea Foundation that organizes exhibitions, performances and lectures to introduce arts and cultures of various countries around the world. 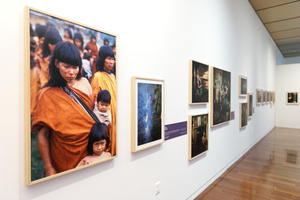 In cooperation with foreign diplomatic missions and cultural centers in Korea and other international exchange organizations, the Foundation hosts exhibitions, performances, lectures and other cultural activities at the KF Gallery, thereby providing the general public with a chance to enjoy diverse cultures around the world.